GROWING A TRUG FULL of summer berries and currants doesn’t require acres of space. There are varieties of soft fruit to suit every garden, whatever its size. Now’s the time to order plants and prepare the soil or containers so you’re ready to act the second your plants arrive. Although you can pick up container-grown fruit plants throughout the year, you tend to get more choice if you wait until the plants are dormant when specialist nurseries send them out bare root. They’ll establish their root system over the winter months, ready to sprint away in the spring. Most types of soft fruit are pretty accommodating with regard to soil type (the exception being blueberries that do best in an acid soil or ericaceous compost). What they love, however, is loads of sunshine and rich living in a soil that still retains good drainage – none of these plants likes sitting in waterlogged ground. Dig in lots of well-rotted organic matter and remove every last root of perennial weed. Growing in pots: If you’re planning to use pots, make sure they’re heavy enough to resist toppling over in strong winds. Use a soil-based compost (such as John Innes No 3), make sure there are plenty of drainage holes and set up an irrigation system, unless you’re willing to water the pots every day through the summer. The larger the container, the sturdier it should be and the less often you’ll need to water. Use pots of 30cm (12in) or larger – 45-60cm (18in-2ft) pots should be ideal. Soak on arrival: When your bare root plants arrive, unwrap them and soak the roots in a bucket of water for an hour. Container-grown fruit should also get a thorough soak. If the ground is too wet or frozen you’ll need to pot them up temporarily or heel them in (pop them in a temporary trench in a sheltered corner). Plant at the right depth: When it’s time to plant, try to place them at the same depth they were growing before – there’s usually an obvious soil ‘tide’ mark on the stem. Firm the soil down well, water generously and finish with a thick layer of mulch. 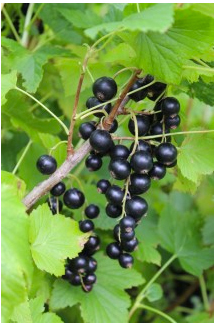 Prune before planting: Specialist fruit nurseries usually send out instructions for any pruning that’s required on planting. As a rule, leave blueberries alone, halve the leaders on redcurrants and gooseberries, and cut blackcurrants, raspberries, blackberries and their hybrids back hard. (To stay on top of pruning, invest in the excellent and comprehensive RHS Pruning and Training by C Brickell and D Joyce, £14.99 on Amazon). Aftercare: The most important thing you can do for your plants in their first year is keep up the watering. Most plant deaths are due to bushes drying out before their roots are properly established. Don’t drown the poor things, but keep a weather eye out for prolonged dry spells. Weed, then mulch plants in spring, applying a scattering of general fertiliser if you think they need a boost. Mulch to keep weeds down and moisture in. Finally, if you want to be sure of a bountiful harvest, you’re going to have to protect your crops from berry-loving birds. Throw netting over plants early (our feathered friends take an optimistic view of when fruit is ripe) securing it firmly so that it doesn’t flap around and snare unsuspecting birds. EDIBLE FLOWERS ARE NOTHING NEW. Think of artichokes, stuffed courgette flowers and elderflower cordial. They can be sweet or savoury, used as flavourings, food or delicious decorative garnishes. The main limitation seems to be our own timidity. We’re perfectly at home with broccoli and cauliflower, but we don’t tend to venture much further. So why not get creative and add a little flower power to your kitchen? Before you start plundering your borders, a couple of warnings. If you suffer from allergies or hay fever you need to be careful since eating pollen can be a trigger. Like any food you need to know what you’re dealing with and unless you’re sure about a plant’s identity, it’s best to leave it alone – some flowers are poisonous. If you use sprays in your garden make sure the flowers are free from chemicals and avoiding picking any from alongside busy roads. You may be familiar with eating globe artichokes but have you tried courgette or daylily flowers? Both can hold their own as a vegetable. Daylily buds are delicious stir-fried, while the male courgette flowers (those without the immature courgette behind them) can be stuffed with ricotta and herbs. Dip them in a light batter and deep fry for a crispy treat. Vinegars, dressings, oils and marinades can all benefit from a well-placed flower or petal too. The sweet scent of lavender transforms shortbread using only the tiniest of amounts; it can even be used to perfume icecream. Elderflower and gooseberry icecream was my father’s major kitchen success and since I’m far too superstitious to cut the dozens of elder trees in this garden for firewood, I’m thinking of bringing this childhood recipe back into use! Rose petals are another great perfume provider. They’re perfect for delicious rose petal jam. Flowers that I use more regularly include chives (see the salad dressing recipe right) as well as rocket petals and coriander flowers. By putting them to good use, you might feel less irritated when plants rush to flower! I’ve heard flowers described as lazy garnishes, and if that means electric-blue borage flower ice cubes (remove the thorny backs to each flower first) or primroses floating in a champagne jelly, I say bring it on! Why deprive yourself of such a fresh and bountiful garden resource? Further talking-point decorations include dashing red pineapple-sage flowers (Salvia elegans) with their citrus-mint flavour. And what could be smarter than a cake topped with a drift of crystallised rose petals? Yum!